It is here… Mirror’s Edge meets Dead Island. This time the folks at Techland Games know the mistakes of Dead Island and attempted to create the zombie survival experience that most gamers wanted, at least until the genre burns out. 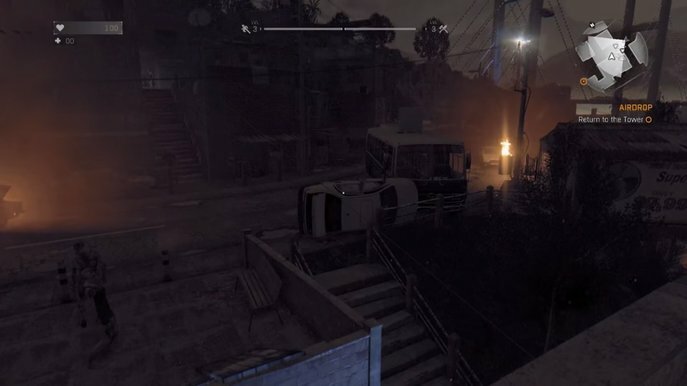 The guys at Techland have now brought us a playground filled with zombies and obstacles for us to jump in, as the well a new landscape (I believe bigger or as big as the original game's map), in the new The Following Expansion. In this new chapter, you follow (heh...) an untold story about Kyle Crane, where you can explore outside of the quarantine zone, face new enemies, meet new NPCs that are slightly more interesting, and ride the Buggy! (an very quick, gas consuming yet powerful vehicle). Did I also mention they pack a bunch of DLC in it? The game is now updated with this new campaign, which is absolutely stunning. It gives the game much more "life" if that makes any sense at all in this case; The new missions involve going through timed events, while running through cleverly placed triggers around the map, giving you the sense of action which empowers the experience, both in day light and during the fearsome nights. 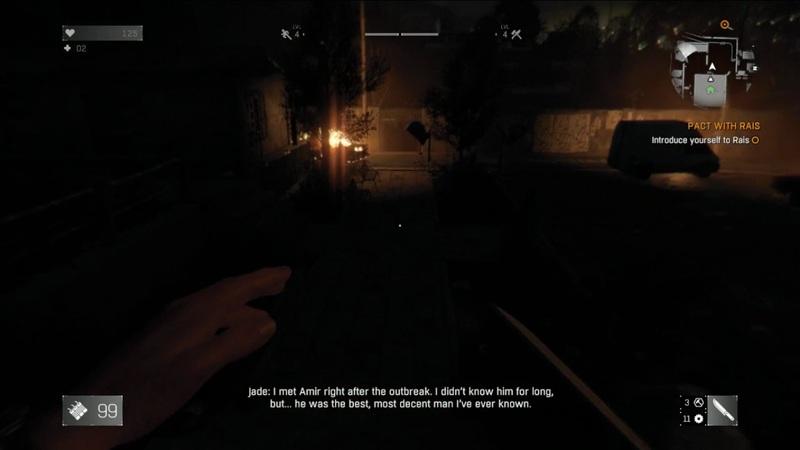 Dying Light takes place in a fictional city called Harren from middle-east, where our military protagonist, Kyle Crane, is set to accomplish a secret mission as well as survive with the people trapped in quarantine with the fearsome zombies. Your objective is to find politician Kadir Suleiman, while finding your own sanity in the middle of this epidemic disaster. VAST OPEN WORLD: Not an island, but an urban town affected by an epidemic. NIGHT CHANGES THE RULES: During the day, you must gather supplies while fencing off zombies around the streets. 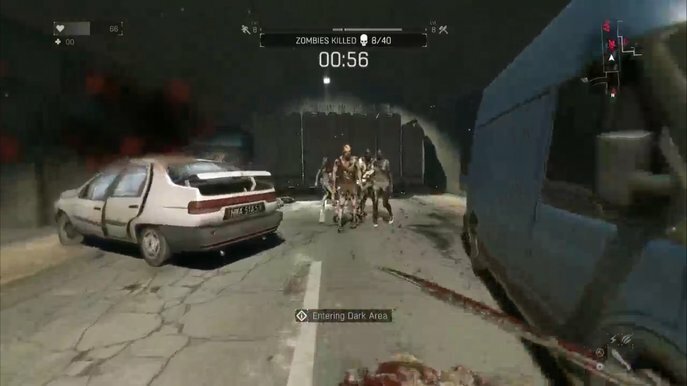 At night, zombies will transform into fierce super-fast versions of themselves, they will mostly keep up at your pace unless you’re good enough around the environment. 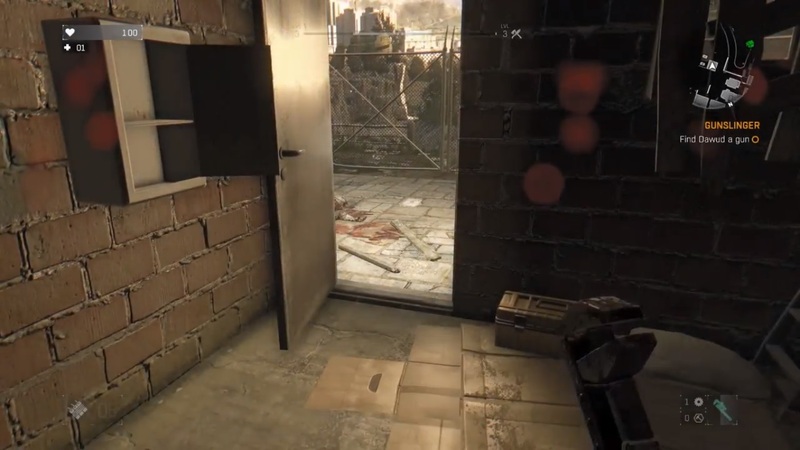 PARKOUR-STYLE MOVEMENT: As if you weren’t overpowered enough by the fact that you have sanity and common sense against a horde of zombies -who only have the instinct to attack-, you can now move faster by doing parkour. Easily climb on buildings and jump between rooftops; it honestly feels a bit freer than what we get from Ubisoft nowadays. BRUTAL, VISCERAL COMBAT: You won’t be expecting candy and flowers anywhere. The game is obviously gruesome, and it helps that you can attack specific zombie body parts to slow them even more. Sometimes when you are surrounded it’s better to plan an escape. ENVIRONMENT: You can use the darkness, fog or storms to your advantage to be hidden or lose chasing zombies. What can I say? Nature is ‘mostly’ your friend. MULTIPLAYER: Play with up to 4 players, show your skills and demonstrate who can survive longer, or work together and fight the Night Hunter, a human-controlled super zombie that will turn your night into a nightmare indeed. Ok, but how is the gameplay? The city has many escape routes, if you keep running and moving you will notice that it can be difficult to get stuck, making gameplay very fluid in that manner –of course be wary of turning to a corner filled with zombies-. You can also use traps in the city to kill zombies, or electrocute them! During the story, you are saved and taken to The Tower by Brecken, you will later have tasks to do such as recover supply drops in time before bandits, or get on light posts and re-activate their security mechanisms (you do this quite often for some reason). The game does offer co-op missions so you don’t feel lonely, but you might get hold back in some cases. 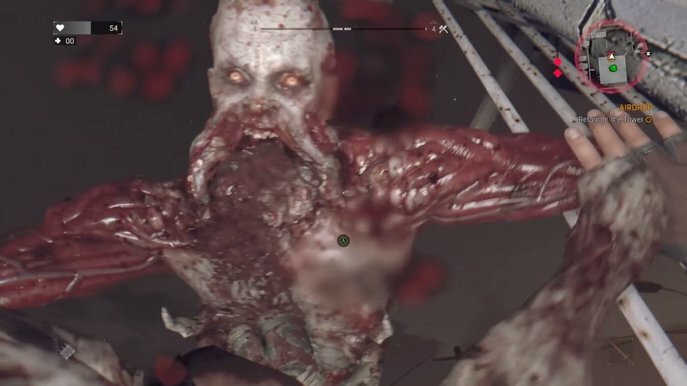 As I mentioned before, during night time be wary of super zombies, fortunately you can be faster than them and keep track of how close they are with you by pressing the Y button (on an XBOX Controller), and see in slow-motion their proximity to you. This is actually a pretty interesting mechanic that works around the tension of the situation, and makes for a better survival experience. You can also choose to learn new skills as you level up, allowing you stun or dodge enemies and be more of a super-human-like character. The game gets tricky when you encounter bandits and what not, since their AI isn’t as dumb and are tougher to get around, nevertheless it keeps an interesting tension to think that there might be people out there ready to shoot you, instead of a zombie bite to your neck. Is the story worth paying attention to, or is this just a regular sandbox? The story does flaw at times. It usually sounds like a good horror thriller movie from Hollywood, but since it is a game you need to cover more than just an hour-thirty to enjoy. Hence, you get silly and weird side story missions that will only lose the focus of the strong main storyline. Visuals and graphics look good, what does it make it seem so? 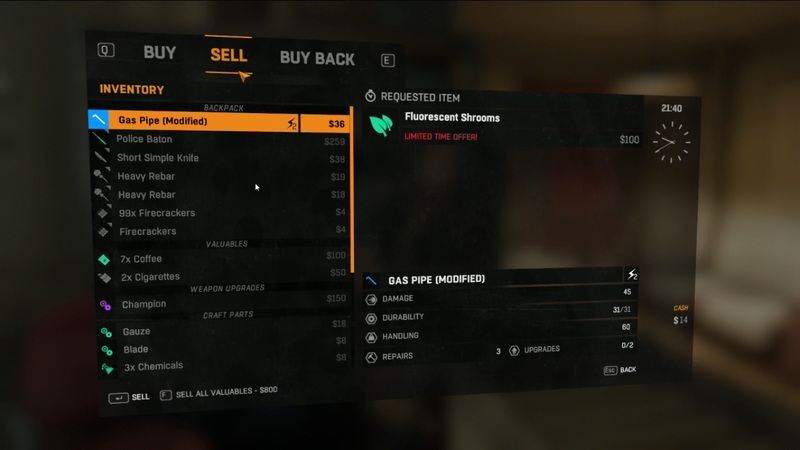 From Dying Light’s website: “Dying Light is the first game based on the Chrome Engine 6 – the latest revolutionary incarnation of Techland’s proprietary technology. Built from the ground up with next-generation consoles and advanced DirectX 11 graphics in mind, it delivers a new level of visual quality, special effects, and dynamic weather conditions, maintaining unparalleled efficiency at the same time.” How well it works? Sure there has to be a lot of bloom, but the color palette, illumination and designs do show a lot of a dark and decaying theme, proper for the genre. Unfortunately, this is a very demanding game, so if your PC isn’t up for it you will get framerate issues and bring down the whole “fluid mobility gameplay” aspect. Gruesome sound FX are in place, whether you smash a tomato to make it sound like a zombie brain, doesn’t matter. If it works, it works. Foley is properly in sync, and dialogues are credible in accordance to the character design (for the most part). Usually you have this atmospheric dark ambience sounds to obviously enlarge the genre, and during a chase (or encounters) you get the regular percussion theme, would have been better to try something new of course, but this is basically the standard. 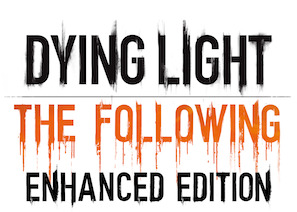 Dying Light shines in the RPG elements it offers, adding parkour makes the game fluid and enjoyable. The Day and Night changes make this game be something more than a regular survival sandbox. Missions can become thrilling and dangerous, and finding a way in and out is always a pleasure while sprinting through your urban environment. Techland Games has brought a beacon to illuminate the darkness, and bring forth a promising start to gaming in 2015. - Cases of clunky movements can present themselves during difficult encounters.